Together, the board represents a diversity of backgrounds—from nonprofit, for-profit and government business leaders to subsistence and commercial fishers. 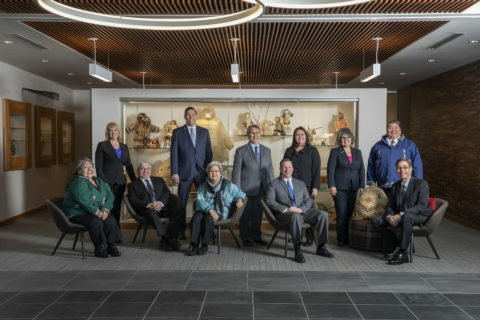 Whether residents of Bristol Bay, Anchorage, or elsewhere, each member of the board is devoted to the success of the corporation and the wellbeing of our shareholders. Back row: Diedre Hill, Everette Anderson, Joseph L. Chythlook, Hazel Nelson, Kimberly Williams, and Peter Andrew Jr.
Front row: Marie Paul, H. Robin Samuelsen Jr., Dorothy M. Larson, Karl Hill, and Shawn Aspelund.